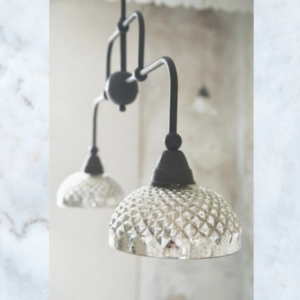 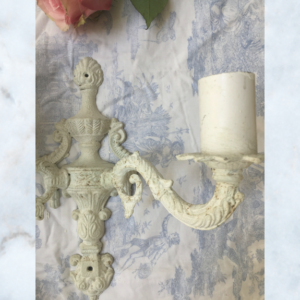 Beautiful Antique & Vintage lighting sourced from France, Italy & across Europe. 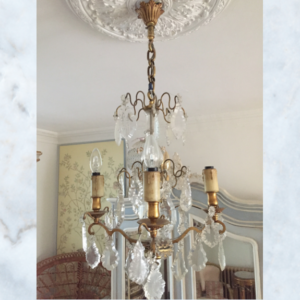 One off pieces including chandeliers, wall lights, lamps & out door lighting. 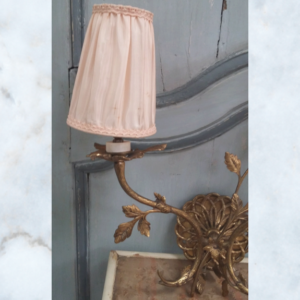 Also stocking Vintage inspired Jeanne d’Arc lighting. 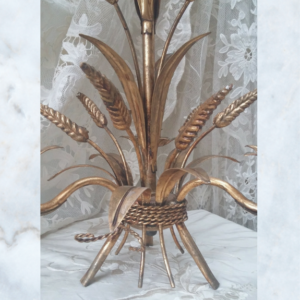 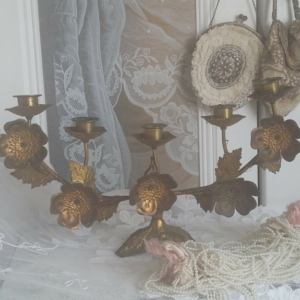 Antique vintage french gilt wheat sheaf chandelier, light with beautiful decorative detail. 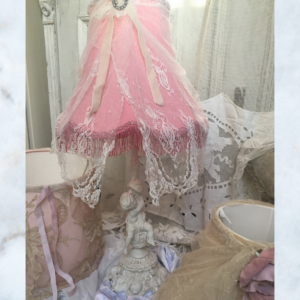 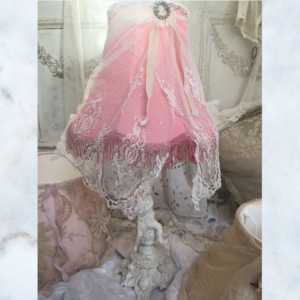 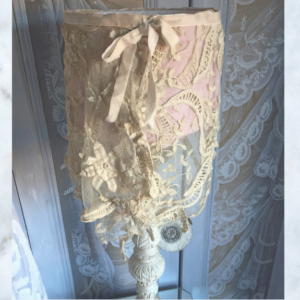 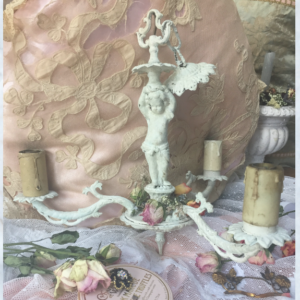 Vintage cherub lamp in antique white, with a rose pink & antique lace shade, finished with a vintage velvet ribbon & diamante brooch. 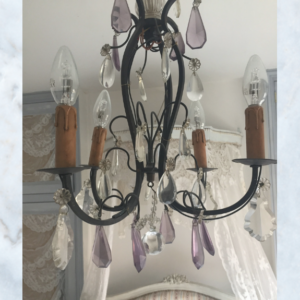 An Antique French brass chandelier, dripping in glass crystals & glass droplets. 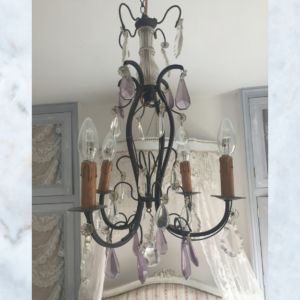 Antique French iron chandelier adorned with clear & rare lilac glass crystals. 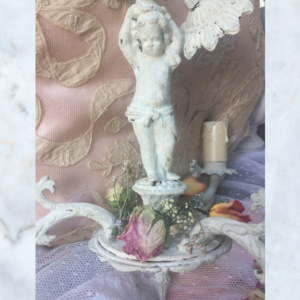 Vintage French metal cherub three arm chandelier. 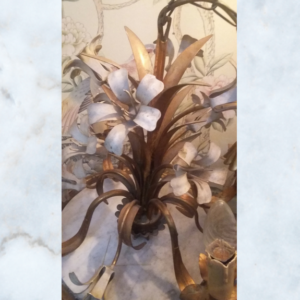 Metal with chippy white paint, ornate decorative detail & flower garland. 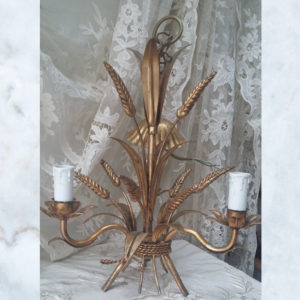 Antique French church candelabra with beautiful decorative leaf & floral detail. 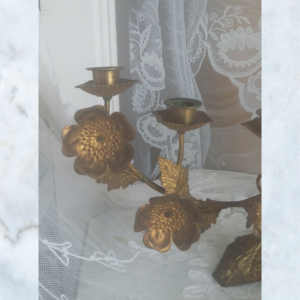 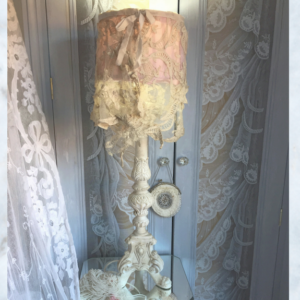 Tall French lamp with lots of decorative carving & antique faded rose taffeta & cream tambour lace shade. 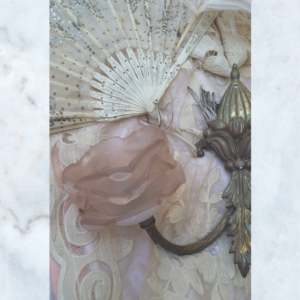 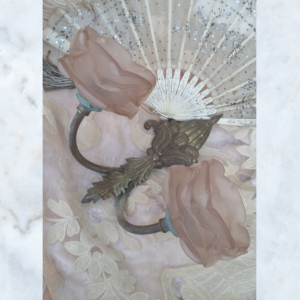 Vintage French wall light with ornate leaf detail & pale pink satin fabric shades. 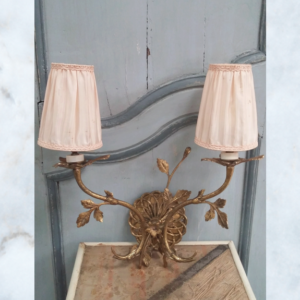 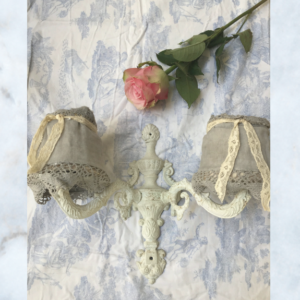 Vintage French wall sconce with decorative detail & pale grey linen shades. 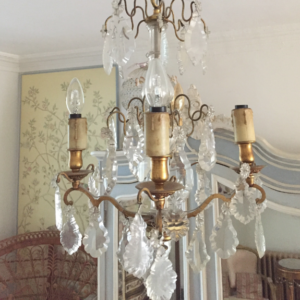 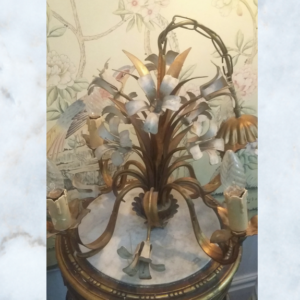 Antique Italian gilt toleware four arm chandelier with white flowers. 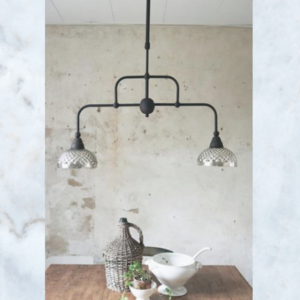 Jeanne d'Arc Living rustic metal hanging lamp with double mercury cut glass shades.